WOW. The government has just announced that it will be keeping NHS Professionals wholly in public ownership! WE WON!! This would have been yet another senseless privatisation. Now it’s not happening – because of the campaign we ran with you! We couldn’t be more excited. Got MPs across parties behind the campaign – nearly 100 signed the Early Day Motion against the privatisation, making it the 3rd most popular EDM this Parliamentary session! We don’t know exactly what won it. But some of your emails were prompting Conservative MPs to ask questions. Maybe the government started feeling the heat. Maybe they didn’t want the hassle of a National Audit Office inquiry, so they decided to drop the sale. No matter what the final straw was, we know that your actions made a big impact. Read the write-ups in the Financial Times, Guardian and Left Foot Forward. NHS privatisation is depressing and overwhelming, but today we showed that it CAN be pushed back. We led this campaign with a tiny team but we’ve shown what’s possible. 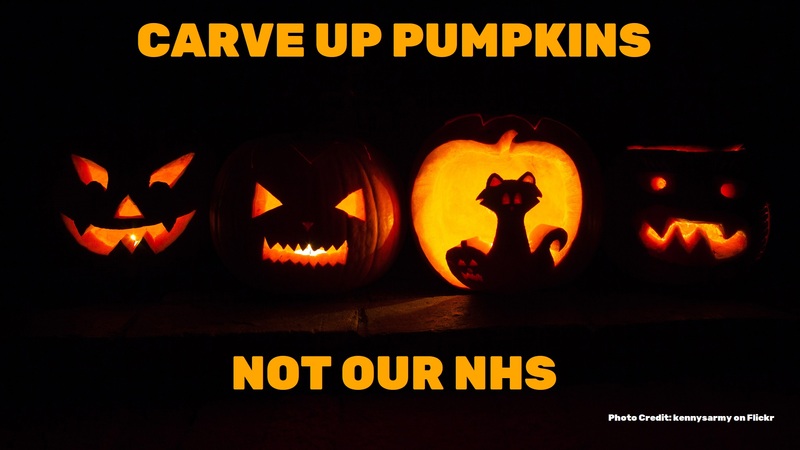 Now we’re thinking hard about what we do next to stop our NHS being privatised piece by piece. We won, you won, we own it! Spread the good news! well done. good times for a change! Brilliant news well done all! Excellent campaign, keep up the pressure.